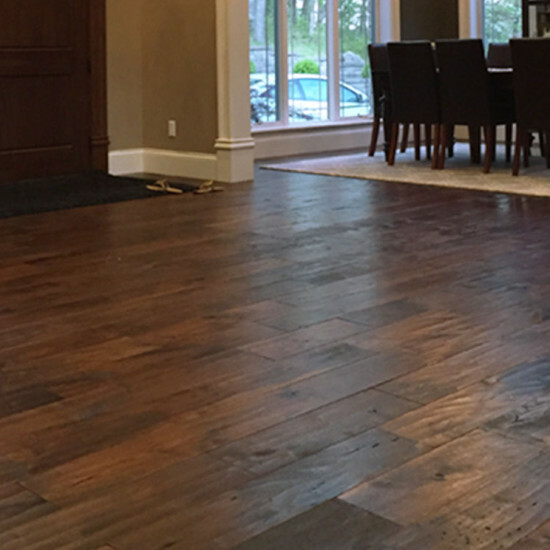 When Historic Floor Company started up in 2001, the phrase “engineered hardwood flooring” stood for something cheap to mimic the real thing– solid hardwood flooring. Knock-offs meant products that looked like real wood floors but, were fake to the core. 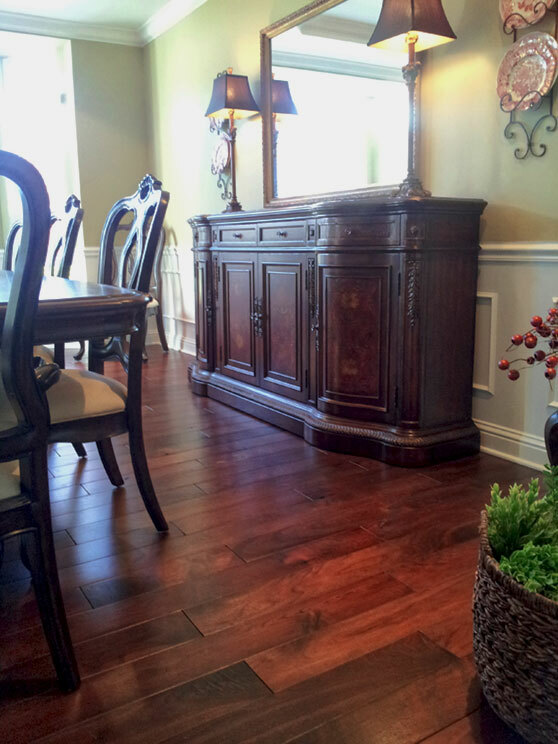 The laminate hardwood flooring trend gave a bad name to engineered hardwood flooring. 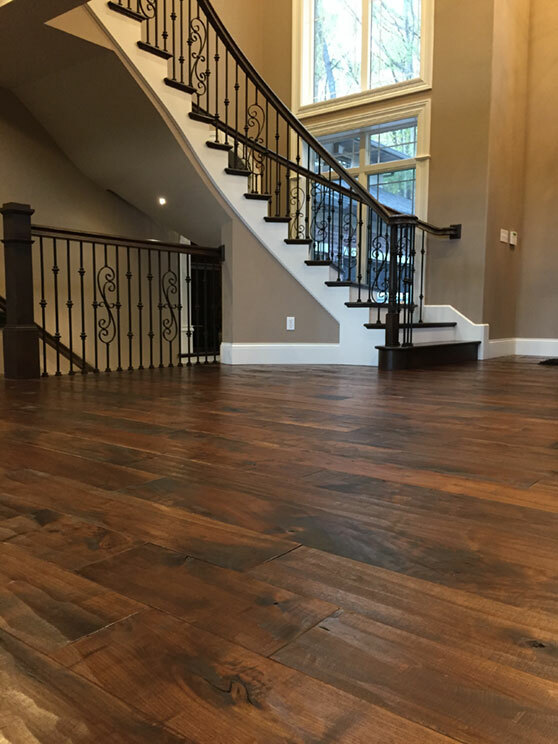 To clarify, an engineered hardwood floor is a solid piece of wood flooring (usually 3/16″-1/8″ thick) that is bonded to a sub-straight of stranded woods, either chip or solid birch. It’s plywood on steroids. Laminate is plastic made to look like wood. 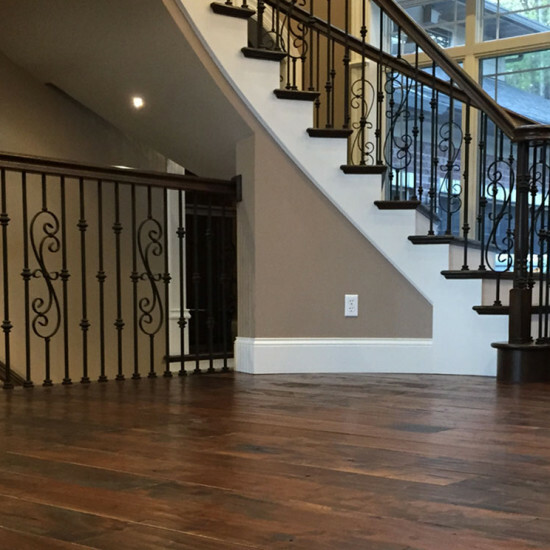 About 20 years ago, solid hardwood flooring, unfinished, job finished or pre-finished was considered to be in a class above engineered floors. Things have changed with time, as engineered flooring has become a serious contender. The bad has died and the good has survived. I’m sure you’ve heard the sad news regarding Lumber Liquidators and the catastrophe with formaldehyde laced throughout their products. That’s why at Historic Floors, we have selected the best materials available today into our collection of engineered hardwood flooring–and free of toxins. We are offering pre-finished, custom finished and unfinished engineered hardwood flooring up to 9″ wide into our product lines today. 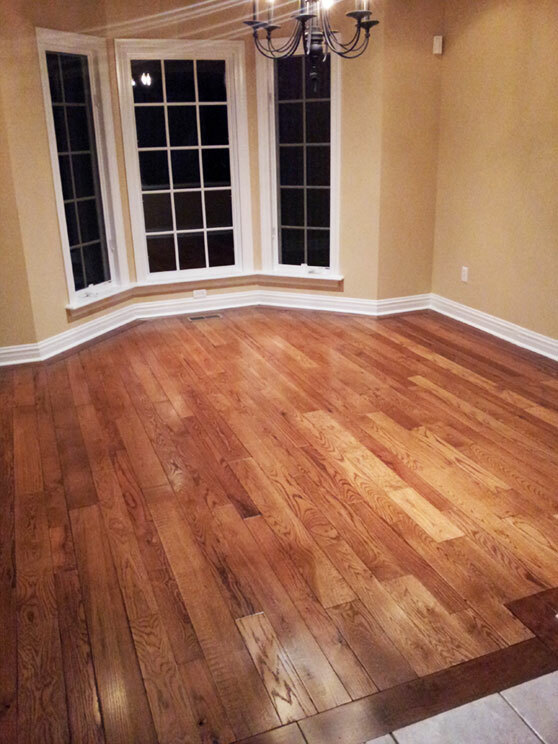 One of the reasons that engineered hardwood flooring was not taken too seriously 20 years ago was because wood flooring “purists” said that these non-solid wood floors could not be sanded or re-sanded because of the thickness of the material. In many cases the thickness of the veneer could not withstand the pressure, heat and aggressive process of re-finishing. De-lamination took place under the process of re-finishing the “hardwood” flooring. The net result was an inferior wood sub-straight that failed between the veneer and the underlayment. Today, with the advances in technology, this has changed. 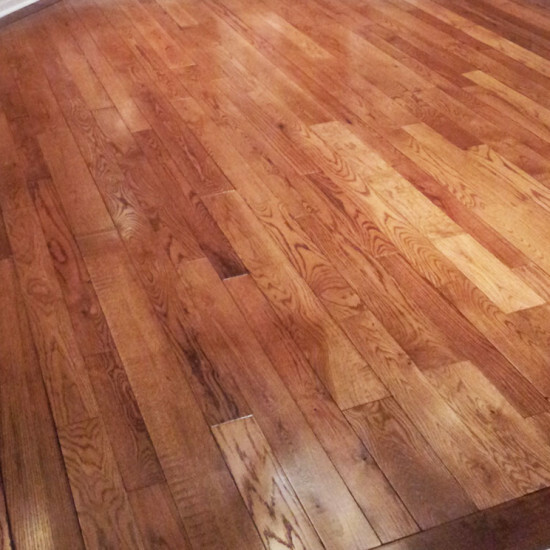 Now several products in the engineered wood flooring area can be serviced or refinished as many times as a solid floor. 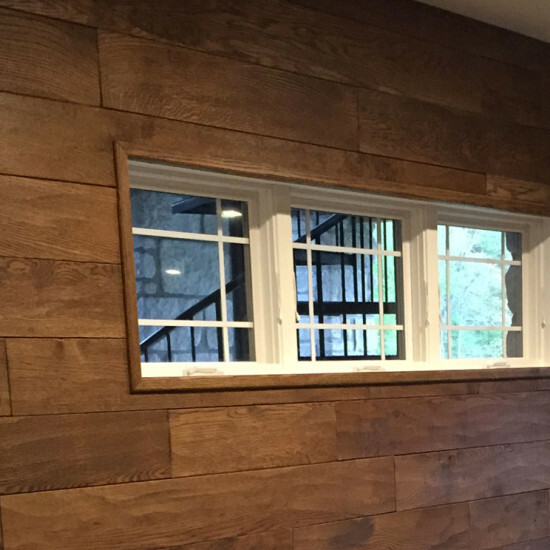 Though the methods are somewhat different for accomplishing the task, it can be achieved with great confidence that the final product will be equal to the quality of a solid hardwood floor. 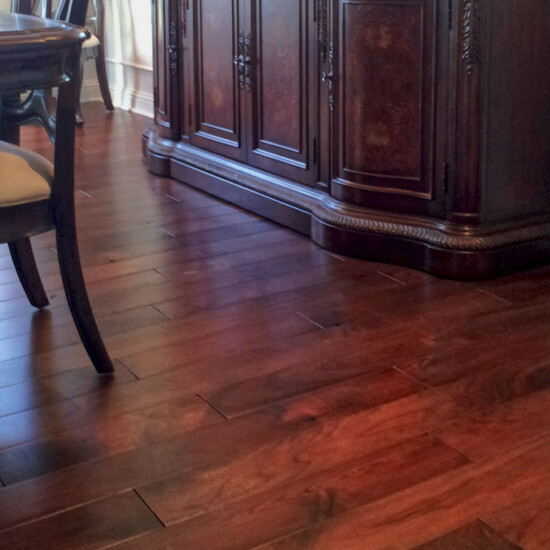 At Historic Floor Company, we incorporate engineered flooring into our main product line. 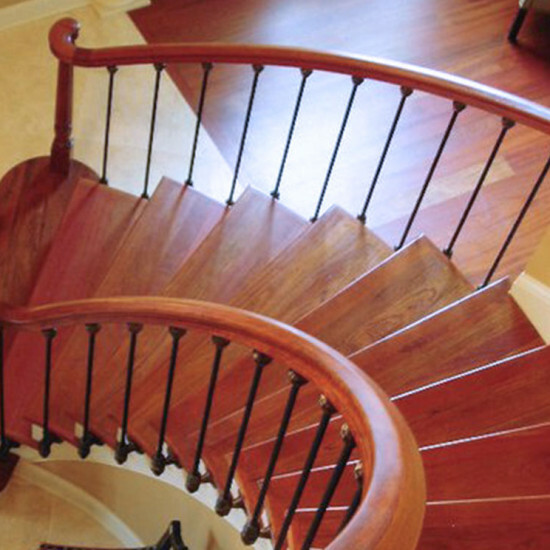 We can surface treat or stain any of our engineered or solid wood floors with the same characteristics. 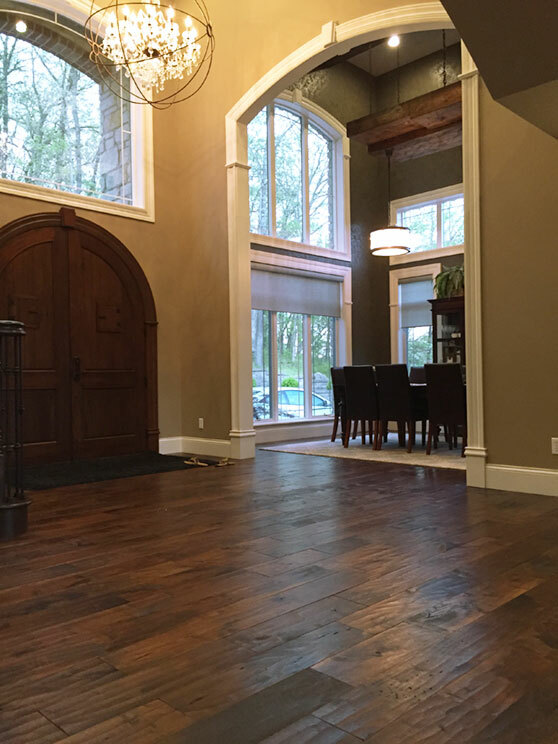 What’s the benefit of an engineered wood floor? For starters, the material is extremely dimensionally stable. This means that there is a low degree of movement in the wood through the “seasonal” changes of most wood floors. 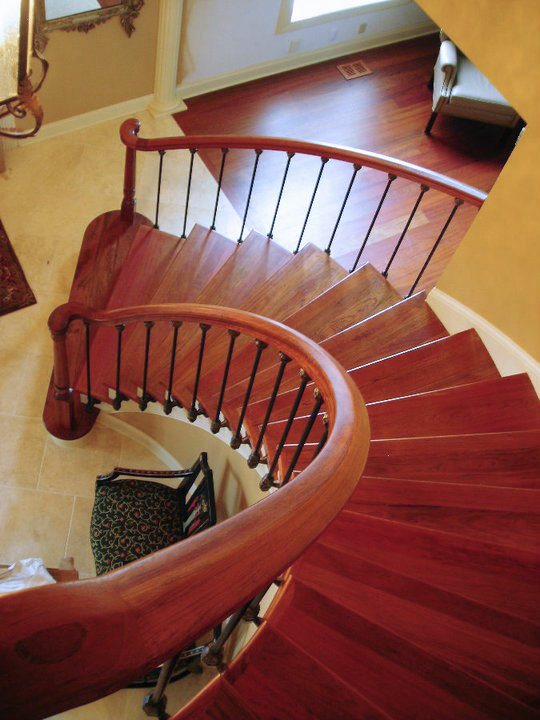 Because the materials are stranded or bonded to a sub-straight that is made from Baltic Birch, the overall product is less likely to move and change with seasonal changes in humidity and temperature. This does NOT MEAN that solid floors are no longer stable, it just means that in extreme conditions, engineered floors can withstand greater degrees of temperature and humidity. The other “out of the box” benefit is that an engineered floor is rated for below grade installation. 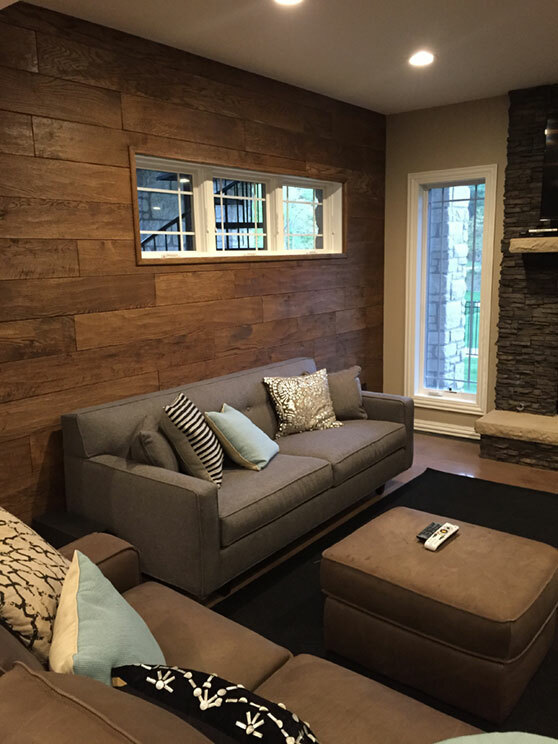 This means that if you want a quality wood floor installed in your basement you can do it using engineered. It comes down to a number of factors that you should discuss with your builder or floor installation expert. At Historic Floor, we are happy to help, but, be sure to consult the local expert in your area as well. Call us anytime to speak to a technical expert. 314-406-1888.